Telling the stories of Canada's military veterans in their own words. 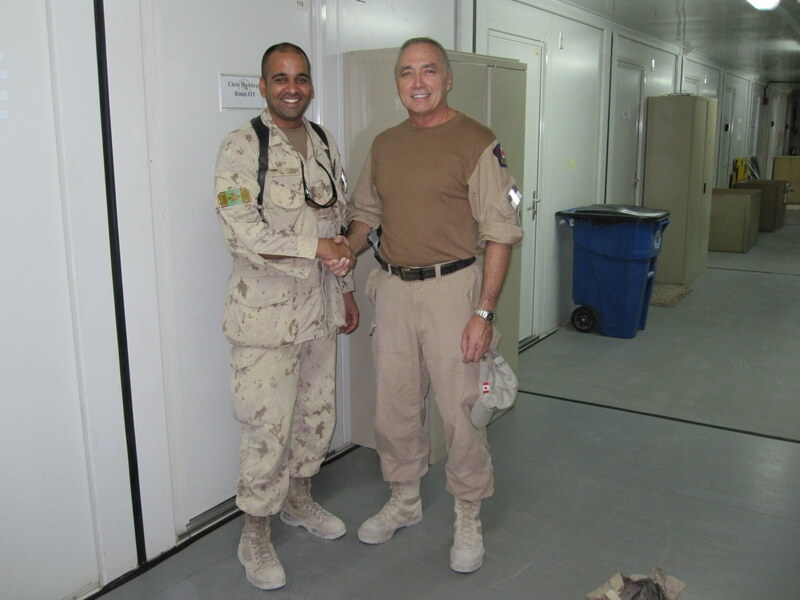 Warrant Officer Aly Hirji a member of The Royal Regiment of Canada was born and raised in East York Ontario. Warrant Officer Hirji completed his basic training through the Cooperative Education Program during February 1995 and May 1995 not earning any money, but in turn earning two High School Credits. 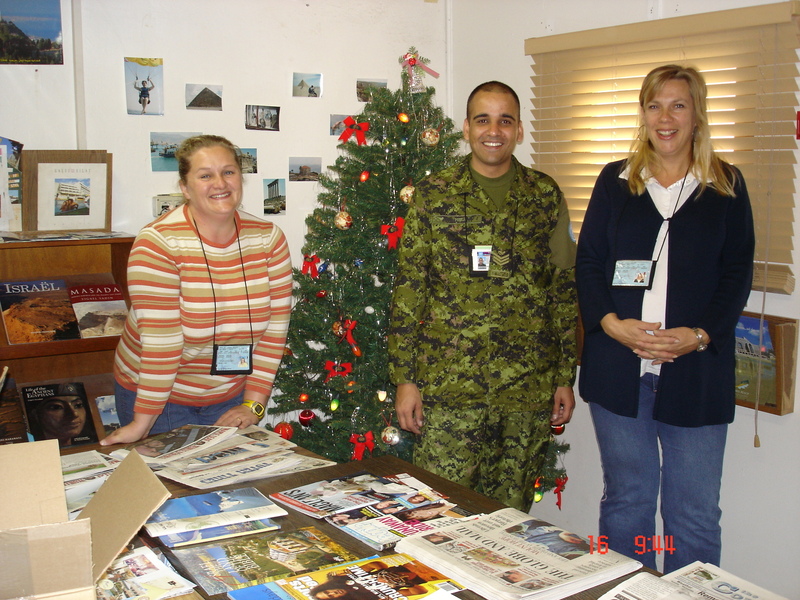 Warrant Officer Hirji was promoted to Corporal in 1997, to Master- Corporal in 1999, Sergeant in 2007 and Warrant Officer in 2009. He has deployed to Israel in support of Operation Danaca; to Ethiopia in support of Operation Augural and returned in 2010 from a deployment to Kandahar Afghanistan in support of OP Athena Roto 9 (TF 1-10). 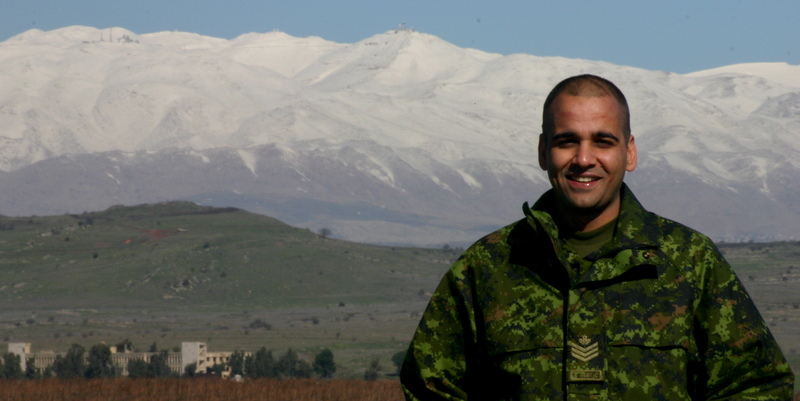 Warrant Officer Hirji has participated in various training exercises with his Regiment. He had the opportunity to accompany the 32nd Canadian Light Infantry Brigade to Fort Knox Kentucky. He was also employed within the Company Headquarters during the major Snowstorm in the City of Toronto and the Ice Storm in Eastern Ontario in 1998. 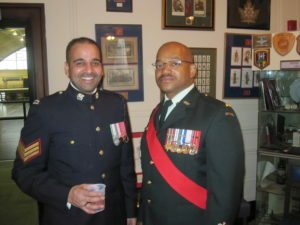 More recently, he was instrumental in the planning of HRH The Prince of Wales’ visit to Toronto in November 2009 for the Presentation of Colours ceremony and May 2012 for the Military Muster Ceremony at Fort York Armoury. Over the course of his career, he has received numerous Canadian Forces Honours and Regimental/Brigade/Area awards. In November 2013 he was presented with the Commander of the Canadian Army Commendation; in November 2012 he was presented the Queen’s Diamond Jubilee Medal; two Commendations from the Commander of Land Force Central Area (now 4th Canadian Division); and was also presented with a commendation from the Commander of 32 Canadian Brigade Group in Toronto. 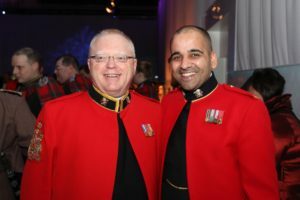 In 2010, Warrant Officer Hirji reverted to the rank of Sergeant and has been employed on a full time basis at his Regiment since 1997. He currently resides in East York. 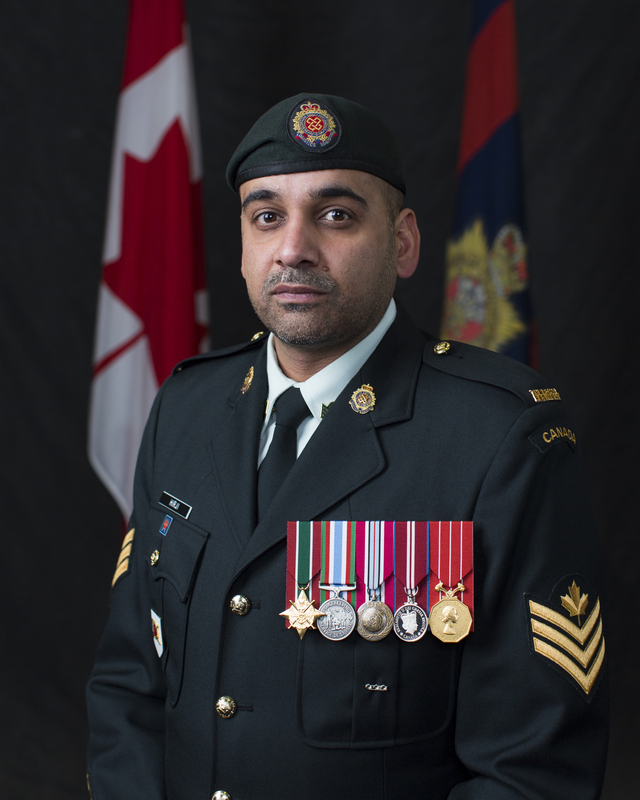 Sgt Aly Hirji, CD of The Royal Regiment of Canada. 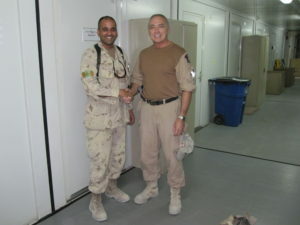 Sgt Hirji meets BGen Stafford in Afghanistan. WO Hirji poses with CWO Nick Webb, RSM of The Royal Regiment of Canada at the Toronto Garrison Ball in 2012. 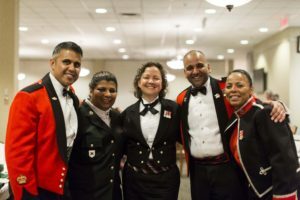 Sgt Hirji attends a Mess Dinner with some life-long friends from the Royal Regiment of Canada in May 21, 2015. Sgt Hirji on Op Danaca in Israel. 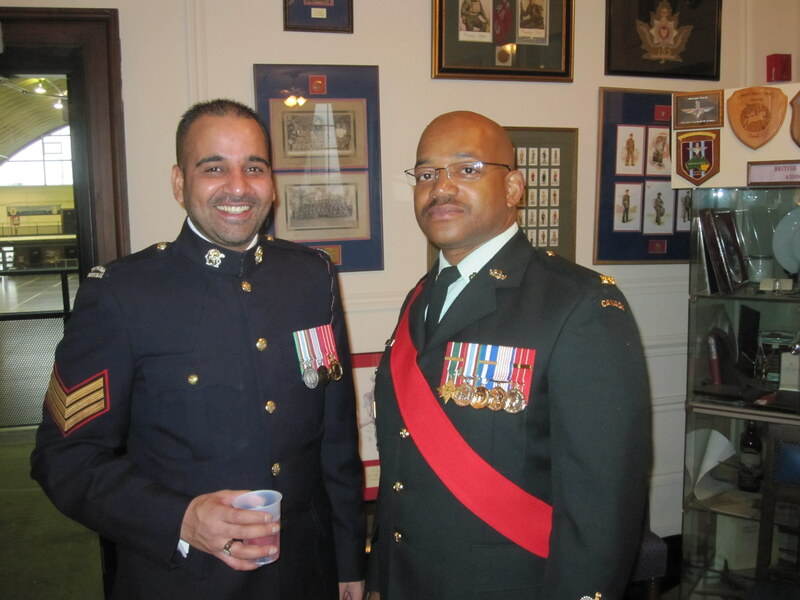 Sgt Hirji with his mentor, WO Anthony Jones of the Royal Canadian Regiment.